Having the best website in the world without promotion is like putting on your best suit in pitch black darkness. Both the outfit and the site will still be awesome, yet the lack of eyeballs on both of them will ultimately render their appeal pointless. That’s why the smart promotion of your website is a skill you need to develop in parallel to what you already do with creating superb content and engaging audience. First of all, let us make one thing clear from the start: website promotion is not rocket science or something requiring a degree in marketing. Actually, all of the methods presented in this post are rather easy to learn and implement and will gratefully repay you every cent you invest in them. Use the Google keyword tool planner. It will help you identify the most important keywords for your target market and, subsequently, improve your rankings. Focus on low competition keywords that are often searched for. This will allow you to plan ahead with writing posts that will be readily noticeable among the search results and more likely to drive natural traffic. Check if the keywords you pick are added to meta-descriptions, the title or the content on your website. If you are using images, do not forget to add these to their title tags. Do not forget mobile SEO. Go through mobile usability reports via the Google Search Console and fix any issues which may hamper mobile traffic. Never ignore even seemingly unimportant things, such as checking if font sizes are correct and the viewport is adequately configured. Learn how to use content auditing tools such as SEMrush. 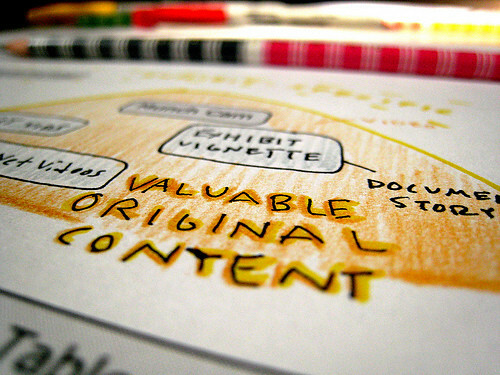 Make a checklist of the content that needs to be tweaked with proper links, titles or keywords. PPC advertising serves to drive traffic from search engines to the website you want to promote. To achieve this, you’ll have to pay a fixed fee for any click your website’s ad receives in the search engine. Your site will be promoted by springing up among SERPs once a user types in a specific keyword or keyphrase in the search engine. This requires you to choose these words carefully, as this model can be great for promoting your website by targeting select audience instead of using the pay-and-spray variety of online advertising. As such, PPC advertising will allow you to present your site to a whole lot of new audience that is highly likely to find it engaging in advance! Site promotion using PPC works best when paired with your SEO efforts, as aligning these two is bound to bring about the best results. For example, PPC marketing involves preparing a list of long-tail keywords that can help you tune your website’s content in line with achieving better ranking and audience targeting. Depending on the type of content your website offers, try to come up with a general idea about where your potential audience members may hang out in the virtual world. Check the relevant forums that are related to the content you produce to get in touch with people who may be interested in what you have to offer. Take part in discussions there and, once you feel settled enough within these communities, start sharing your website’s content. Run contests, games or giveaways connected with your unique landing page in exchange for contact information or support for the official social media page of your website. You can reward your new followers with special content access offers or personalized “thank you” messages. You can also post images or videos which promote your website by showing your daily activities related to it and giving your work a “human” angle. In any case, do not forget that promoting your website on social media is a two-way interaction in which you closely engage your audience in parallel with their engagement with the content they come for. Bear in mind that you can also boost posts in which you share your site’s content on Facebook and engage in targeting new users. You can use Facebook advertising whenever you feel that you want to go beyond the limits of “organic” promotion of your website. Facebook Ads Manager allows you to target your audience based on various parameters, such as their geographic location, age, and interests, which are key considerations in determining who may find your website most interesting! You can design Facebook ads yourself with the help of Ads Manager or Power Editor. Any website promotion necessarily involves making it a brand in the process. You’d do well to come up with a signature for your email account, SMS or forum posts, which will include your website’s URL. In addition to becoming recognizable, other users will be more likely to click on the provided URL and land on your website. Finally, things come full circle with the awareness of the need to combine all of these efforts with creating quality content on your website. It is a lifeline for your website and the key to achieving better ranking and keeping your audience. Keep the quality content coming and turn satisfied readers and loyal visitors into the best unpaid promoters of your website! Website promotion does not have to be a complicated endeavor, as long as you keep all of your efforts unified under the same umbrella goal. In this manner, all of the methods you put to use will be much more efficient if you make them complement each other. Thus, your SEO efforts will be best combined by investing in PPC promotion, while social media marketing will go together with advertising on the same media. Whatever method you pick as your favorite, you’ll have to remember that its efficiency will ultimately depend on how well you support the quality of the content you offer on your website.